We recently hosted one of our favorite Kids' Club activities we've had yet: Mason Jar Terrariums! It was a fun, engaging, and educational activity for kids and their families alike, who planted adorable little gardens in a jar. Many thanks to all the families that came to plant with us at this Kids' Club activity! In case you missed the event, we're sharing how to guide kids through making their very own terrarium at home. We've written other posts about creating an amazing terrarium, but the terrarium-building information we're sharing here was thoughtfully simplified with little ones in mind. It is easy to build, educational, and fun! 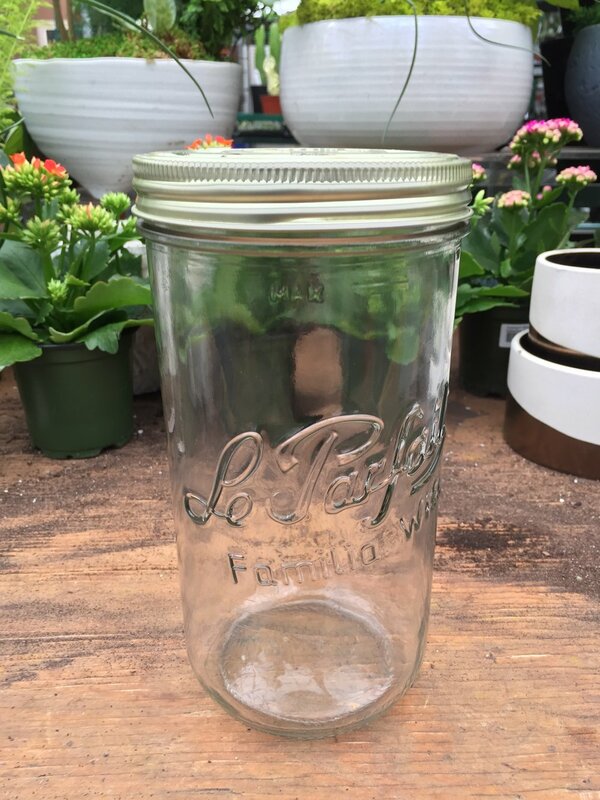 Select a wide-mouth mason jar with clear glass that is 30 oz. minimum. If you can find a larger size, that's all the better for little hands to be able to easily maneuver around. Make sure your jar is clean before you start planting it up. If it isn't clean, washing it with soap and water will do the trick. 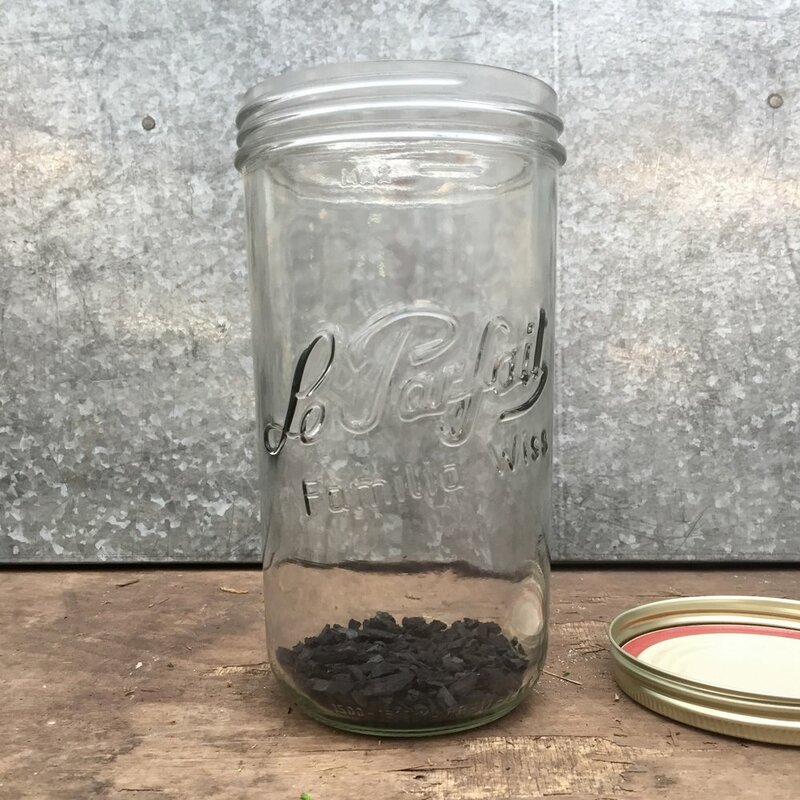 Add a thin layer of activated charcoal to the bottom of the jar. It doesn't need much, a half inch is plenty. Charcoal helps to eliminate toxins and provide fresh air in your terrarium. 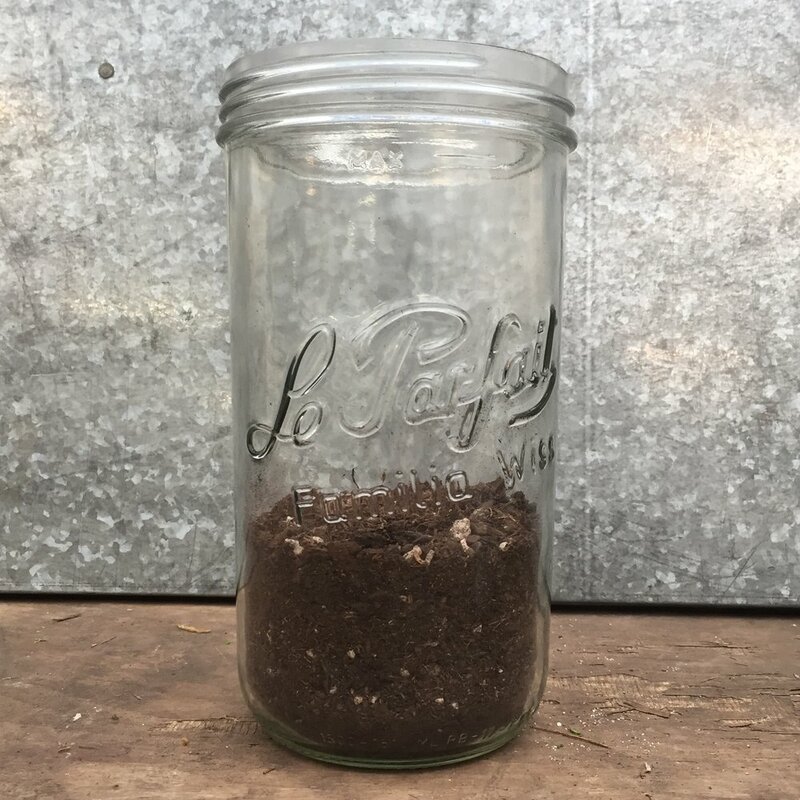 The amount of soil you use will depend on the size of mason jar you're planting into, but generally, about 2 inches of potting soil is the right amount to add over the charcoal. 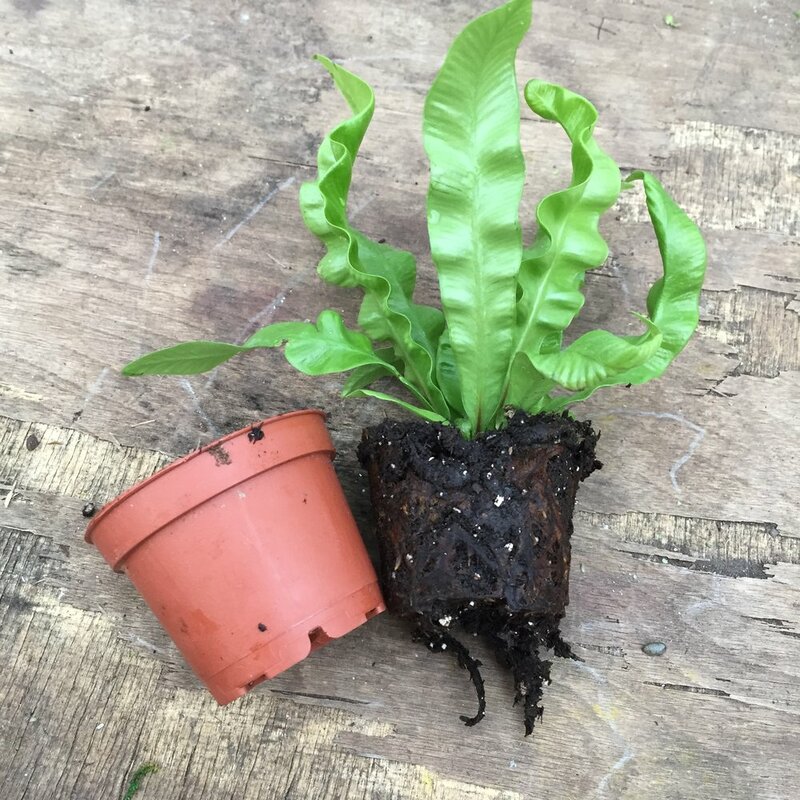 Gently pull the plant out of the plastic container and loosen the roots. 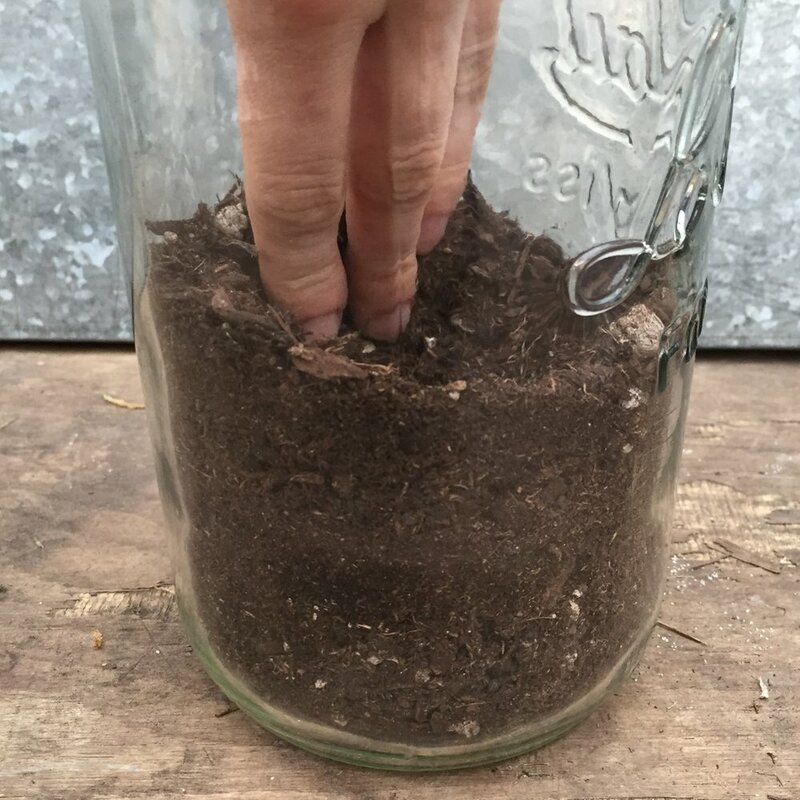 Massaging the root ball a little before planting allows the roots to spread into new soil more easily. Then, dig a little hole in the center of the soil to create a well that you can nest your plant in. Slowly work around your plant to add a little more potting soil so that the roots are covered evenly. Very little potting soil is needed here; about 1/3 of what was used before will probably be sufficient. As you go, gently tamp down on the soil to remove air pockets and uneven surfaces. Once again working slowly around the plant, carefully add a thin layer of pebbles around your plant. You need just enough to cover the soil. Any kind of decorative rock will add a polished look, but think about using brightly colored pebbles or sand for a fun effect. Gently clean off any excess soil that may be sticking to the glass, inside and out. Now is also a great time to add any extra decor items. Little ornaments like a wire ball or shell are beautiful, but small toy figurines are perfect for kids. If they're small enough to nestle next to the plant, a little dinosaur would be right at home. Slowly add water around the base of your plant to moisten the soil. Notice how the soil will turn a deep, dark brown when it's wet. Once most of the soil is moistened all the way around, you're finished! Find the perfect spot to display your beautiful masterpiece! 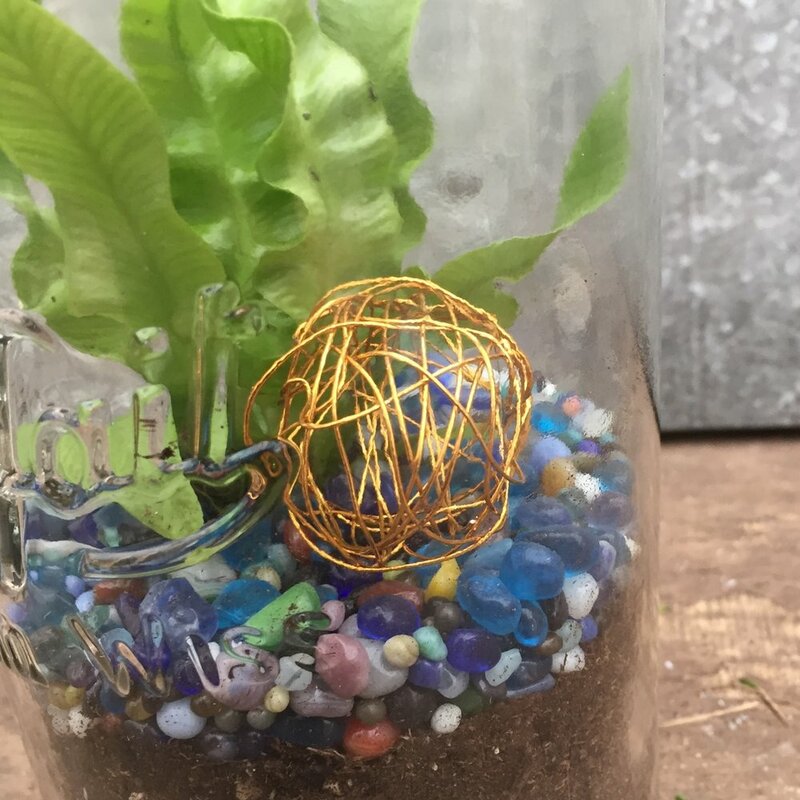 Do you want to see more examples of finished terrariums that kids made? Check out our Facebook album with lots of kids proudly showing the terrarium they made at our Kids' Club activity. By tropical plants, we're referring to the leafy varieties you would find at Swansons. This might include ferns, palms, Schefflera, Dracaena, and many more. Ask us if you have any questions about what you planted! These need bright indirect light. For watering, allow the surface of the soil to dry between waterings. Water slowly around the base of the plant. Succulents are desert plants and live in much warmer, dryer environments than most tropical plants. Succulents love bright light with some direct sun. For watering, allow the soil to dry almost completely between waterings. Watering less is better than over watering! Water slowly around the base of the plant. That's all folks; a simple kid-friendly terrarium! We're here to help all along the way, so if you want any help with supplies, plants, processes, or troubleshooting, let us know. Post your questions (or finished terrariums!) on Facebook, Twitter or Instagram and include the hashtag #heyswansons. We're listening! To plan ahead for our upcoming Kids' Club activities, check out our 2018 calendar!